A New York Times bestseller from the acclaimed author of A Northern Light and Revolution. This thrilling mystery is perfect for fans of The Cellar and Suicide Notes from Beautiful Girls. It's a story of dark secrets, dirty truths, and the lengths to which people will go for love and revenge. 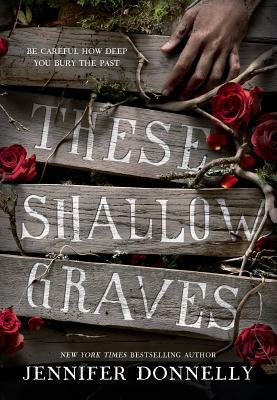 Jennifer Donnelly is the author of three adult novels, The Tea Rose, The Winter Rose, and The Wild Rose, as well as the young adult novels These Shallow Graves, Revolution, and A Northern Light, winner of Britain's prestigious Carnegie Medal, the L.A. Times Book Prize for Young Adult Literature, and a Michael L. Printz Honor Book Award. She lives and writes full-time in upstate New York. You can visit her at jenniferdonnelly.com or find @JenWritesBooks on Twitter.